I say all the time that I love my job-because I do! 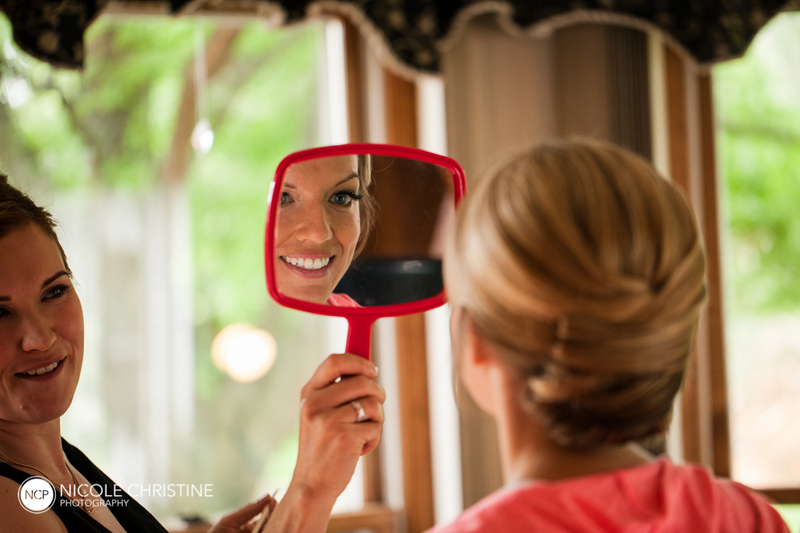 Every bride is so special to me, and it is such a privilege to spend the morning of their wedding day with them and their loved ones, helping them look and feel their best. 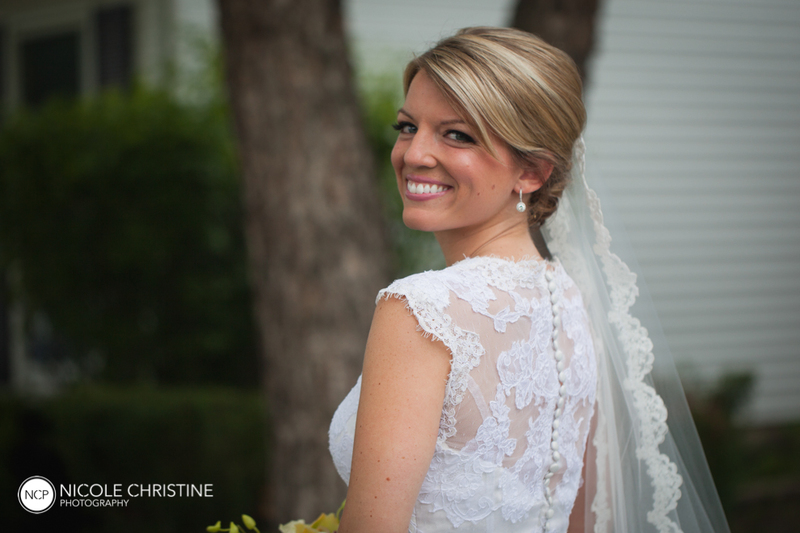 Katie got married in early summer–on one of the rainiest days of the year! But as you will see in these photos, she didn’t let grey skies stand in the way of celebrating! Since I was able to get so many stunning images thanks to Nicole Christine Photography, I am actually going to do a couple of posts about this wedding, because I really want to highlight a few different aspects of this gorgeous bridal party. 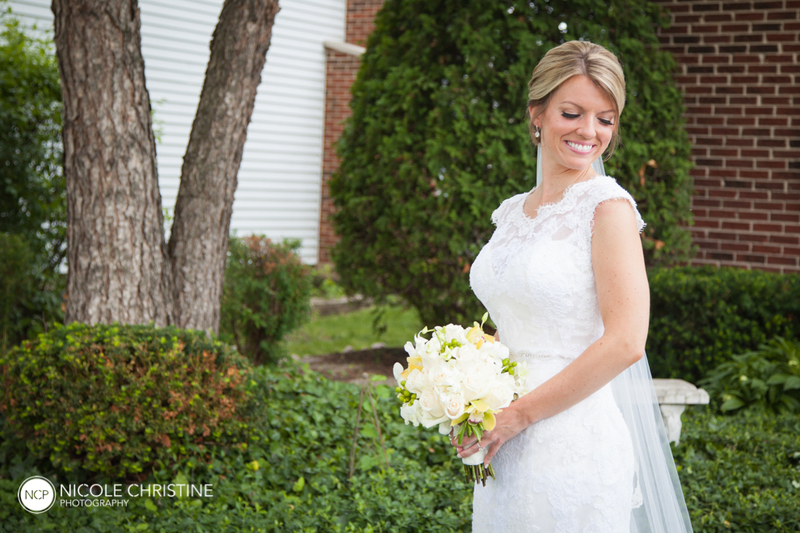 Let’s start by focusing on this stunning bride! 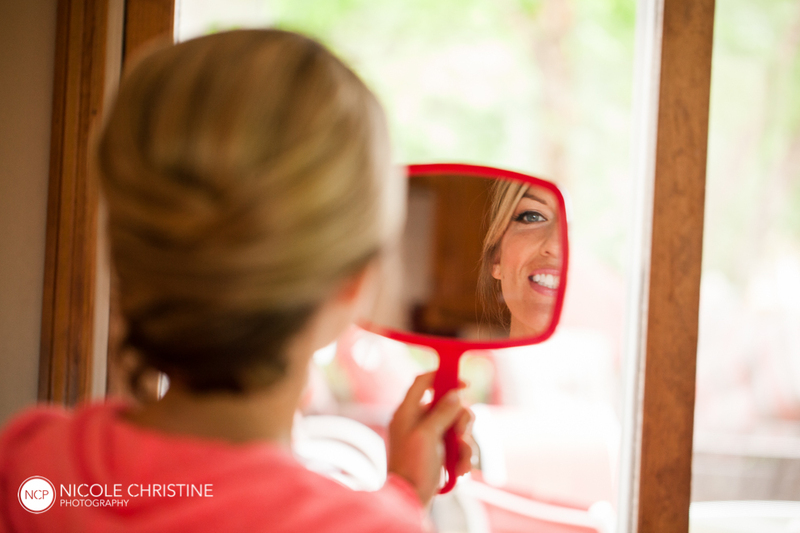 Katie, like many of my brides, doesn’t wear a ton of makeup in her everyday life. At her trial, she expressed concern that if she wore a lot of makeup she wouldn’t feel like herself, and her fiance might not like it. THIS IS A VERY COMMON CONCERN! But I’ve learned a few things in my years of doing natural-looking bridal makeup. The first is, you can be wearing what might seem like a lot of makeup (if you don’t normally wear much) but if it is applied skillfully, it won’t LOOK or FEEL overdone once the process is complete. Secondly, your significant other doesn’t need to know how long it took you to get ready on your wedding day, it is our little secret! And lastly, I am not suggesting that you wear this amount of makeup every day. You don’t wear a wedding dress every day, do you? Of course not! This type of makeup is special occasion! It is appropriate for the setting and your outfit! Lastly, this is going to be one of the most photographed days of your life. You need makeup that will enhance your best features, make you feel confident, and photograph beautifully. Katie has beautiful, big, wide-set eyes. At her trial, we used a half-strip of false lashes on each eye, but after we finished on wedding day, she came back to my chair and asked for more! WOO HOO! I almost never say no to more lashes! LOOK at how gorgeous she is! I trimmed Katie’s brows just a bit, and filled them in with Anastasia brow powder in taupe and light brown. 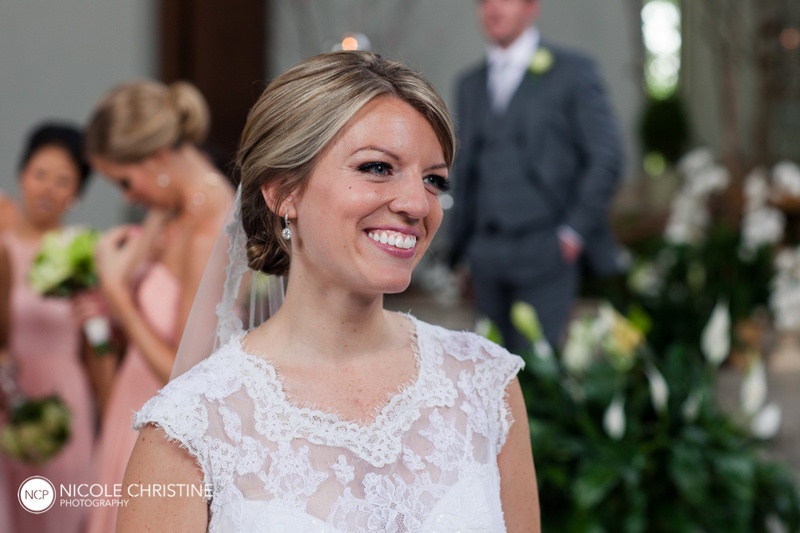 I used Kett airbrush foundation as I do with most of my brides, and we kept her look softly bronzed and glowing. I always love the reveal! For her lips, we wanted just enough color to look defined, but still natural. We went with MAC Creme Cup which is a pretty pink that she felt comfortable in and was MOB (mother-of-the-bride) approved. I’m a total sucker for proud dad pictures. Look at the smiles on these two! Ok one more so you can see these gorgeous lashes! 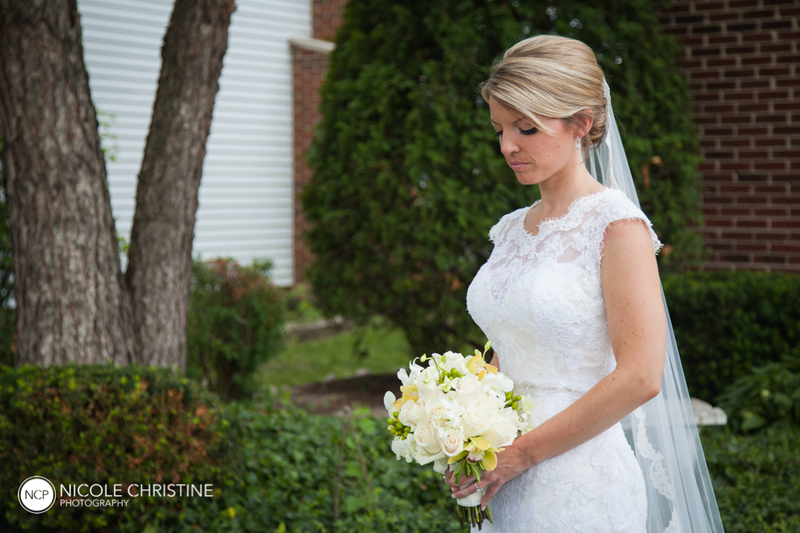 And I leave you with one more gorgeous picture of this lovely bride. 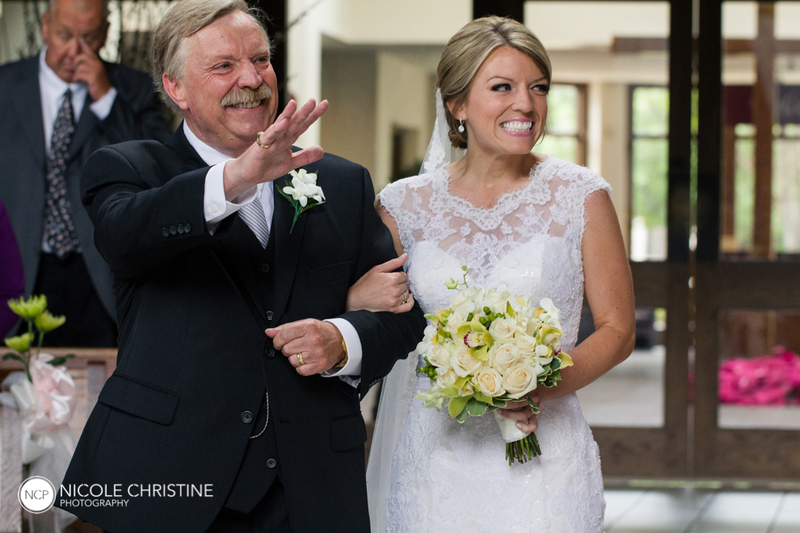 I will do another post about her fun bridesmaids, and then a third about her beautiful and fun mom! Great copy! Great pics! I wish YOU did my wedding makeup! 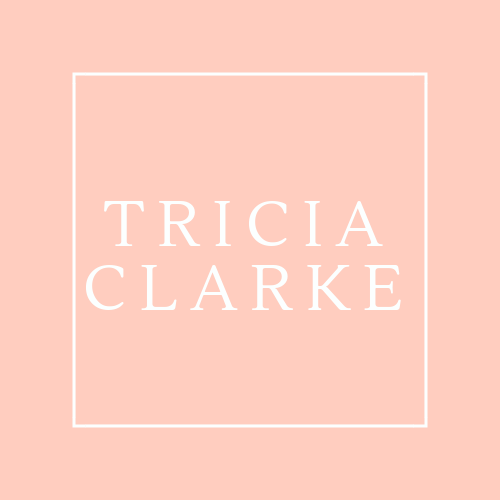 Thanks for the beautiful, thoughtful blog post! 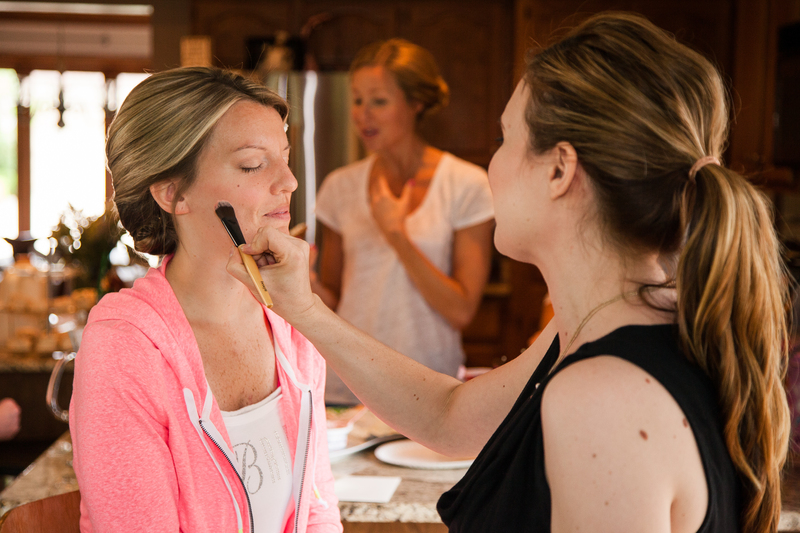 You are an amazing makeup artist, and have the perfect personality to spend wedding morning with a bunch of bridesmaids, stressed out moms, and nervous brides! Thanks for keeping us all calm while making us beautiful! Can’t wait to work with you again!